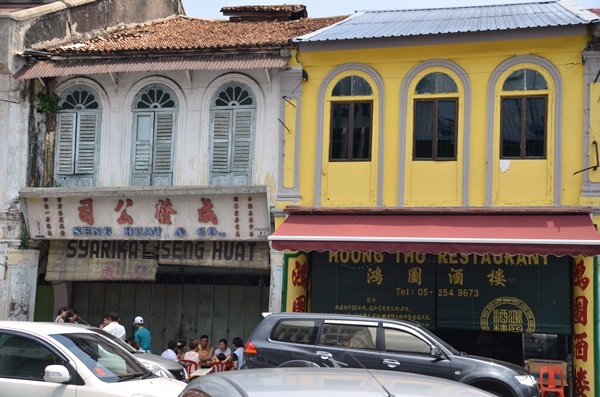 I remember eating at Hoong Tho with my late grandfather and a bunch of older relatives, whereby this was also one of the famous places in Ipoh back in those days for wedding banquets. The menu has stayed relatively flat throughout the years, which may not be a bad thing at all. You see, most of these popular establishments are known for their trademark items — dishes that they do particularly well and embedded in the minds of followers who come back repeatedly for the same, comforting familiar taste. 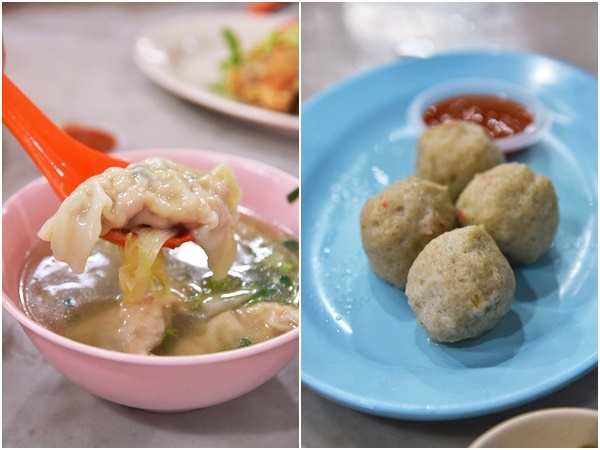 Their ‘sui kow’ dumplings in soup and own made fish balls are some of their highlighted dishes to complement the noodles and rice dishes. In the case of Hoong Tho, they excel in their noodle dishes; including the “sang har meen”; a braised egg noodles dish with succulent fresh water prawns and the “Hoong Tho meen” that resembles classic Cantonese wat tan hor but with a twist; yee mee (egg noodles) in a soupy broth redolent with egg whites, pork and shrimp, with cuttlefish powder for added umami effect. For extra oomph, feel free to add in a dash of dark vinegar then mix well. 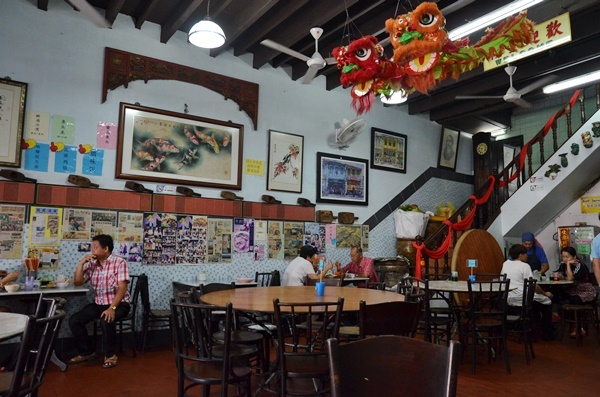 In the same league as the other “chu char” Chinese restaurants in Ipoh, Hoong Tho also serves various dishes but their strength lies in their noodles, and deep fried snacks served with their own concoction of sweet and sour chilli sauce. One item you should not miss is the homemade “yue wat” or fish paste served in a myriad of ways depending on your preference. For us, we usually have them deep fried and dipped into the chilli sauce or soaking in the gravy from the noodles. 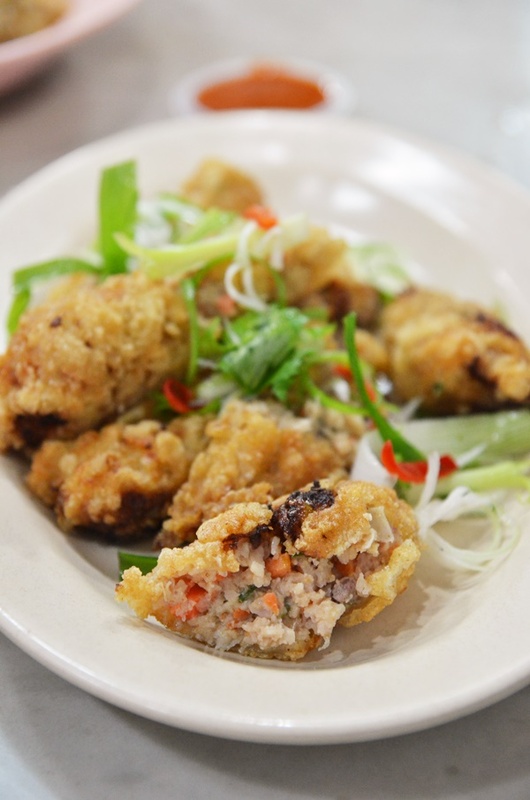 The fried fish balls are packed with a bounce and sport darker, greyish tones which give away the nature of its origin — made in-house and not sourced from mass-manufactured suppliers. Delectably crispy and addictive, one can finish a plateful of these without hesitation! 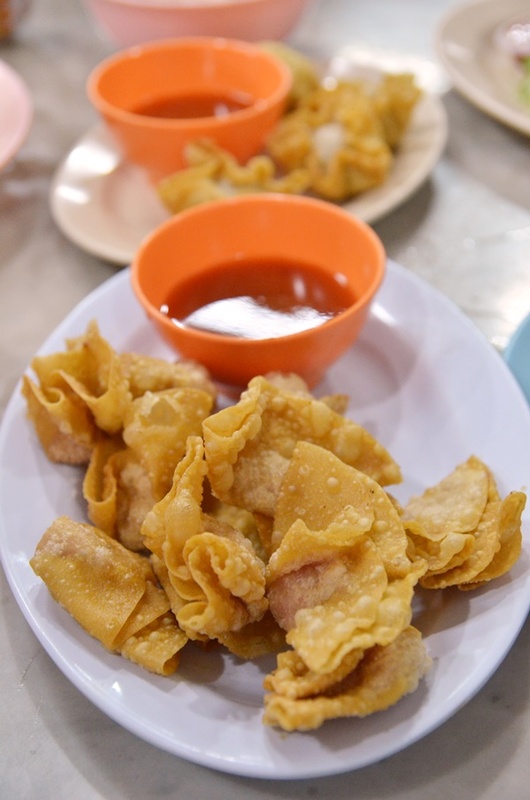 Interestingly, the deep fried wanton (dumplings) have always been one of their best sellers, and it’s not hard to see why. The crispy skin enveloping the filling of minced meat was exceptional; neither a faint hint of alkaline (lye) water was detected, nor were the morsels being overly greasy and dripping in oil. Hoong Tho makes one of the rarest traditional spring rolls available nowadays; made with pork caul fat (or what we call “chu mong yau”) that has this unmistakably savoury yet pungent aroma and packed with a delicious filling of minced pork meat and liver, chopped carrots and coriander. Needless to say, this went extremely well with their chilli sauce as well. If noodles and snacks sound too far-fetched to be a complete feast, then don’t worry. 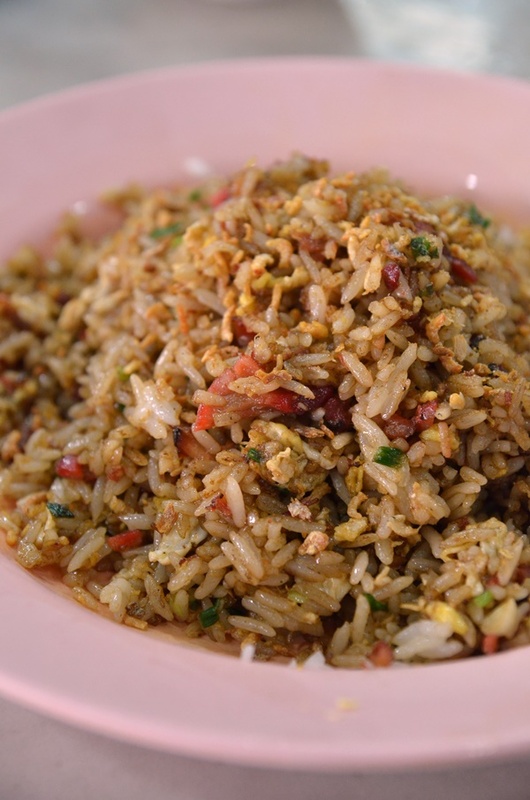 They serve a fabulous version of fried rice as well; the type that includes BBQ pork cubes, very finely-beaten egg omelette and chopped scallions. The “wok hei” (aroma imparted to the food from a well-heated wok and controlled fire) was evident; coming from the hands of the cooks with multiple years in the business. And you can end the meal with a serving of their pastries; from egg tarts to savoury puffs, or even their signature cempedak butter cake but you will need to purchase the entire slab (about 8 pieces worth). Trust me, no other place in Ipoh does this better. Walk out in pride, knowing that you dined in a legendary establishment patronised by a few generations and counting, without compromising on the quality of their ingredients, nor succumbing to modernisation. Read my previous review of Hoong Tho including their famous noodle dishes HERE. How I miss their famous porridge and that was many many moons agolKeep up the good work James,will be going back home in April to eat all those fabulous food only Ipoh food stalls makes.